Earlier topic: Schelter & Giesecke - ID Please? 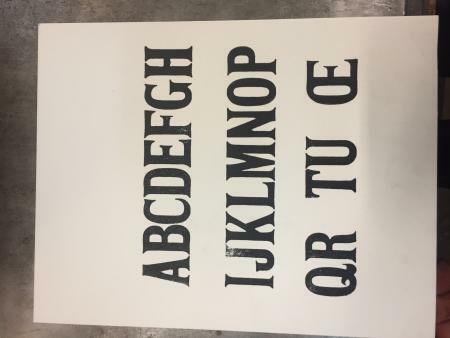 Anyone have any idea what typeface it is? No marks on the type that I could find. I did not specifically find this one, but I only have a few English wood type catalogs. I would however say that the general style of it would put it in the Runic family as far as a name went. Harrildplaten, don’t be too sad, Great Britain is geographically a part of Europe, but it won’t be in the European Union anymore. You’ll always be a ‘European’. Would you credit it, I believe I have this face in 8-line size. but dont have a definite name for it theres nothing on the edge of the case.